Hi, I'm Tanya and I work with ASDA not so long time but anyway I can surely tell that they are very reliable and credible. Especially if are in UK - ASDA is one of the best, easiest and fastest online shopping for you! And today they share some inspiring recipes of fast microwave meals. Enjoy and don't hesitate to leave your opinions. It’s the new year, which means back into our usual busy routines. Family life returns to a whirl of working late, after school clubs, playdates, parties and social engagements, and cooking can become harder to fit in. However, there’s no need to slave over a hot stove for hours in order to serve up delicious, healthy meals. The often overlooked microwave can be a very handy tool in the kitchens of busy families, allowing you to whip up hot meals in no time. Take a look at the following recipes for inspiration, then take yourself off to the ASDA grocery store to pick up the necessary ingredients. Even better, save time by shopping online from the comfort of your own home and get your groceries delivered directly to your door. When you shop at the grocery store at ASDA the ASDA price guarantee means that you’ll get the best deal on your shopping, making these meals not only quick and healthy, but also as cheap as possible too! This warming dish is super healthy and contains lots of lycopene boosting tomatoes and red peppers. If you’re on a new year health kit, make it even healthier by using wholegrain rice. It couldn’t be easier to make. Tip a can of tomatoes into a large microwavable bowl, then mix in the same amount again of water. Add to the liquid chopped red pepper, chorizo sausage, sweetcorn, easy cook rice and a sprinkling of Cajun seasoning, and stir. Cover with film and microwave for ten minutes, stir, then return to the microwave for a further ten minutes. Serve with a spoonful of soured cream. This tasty recipe is a great way to sneak veggies into reluctant teens or tots. You can even add other vegetables including peas, sweetcorn, carrots – whatever they like! 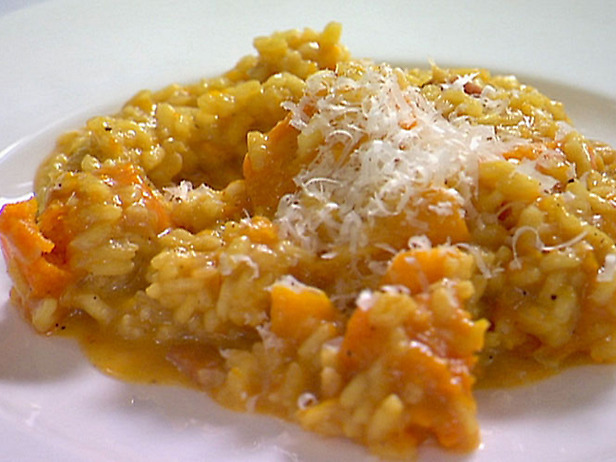 Microwave 250g of risotto rice in 500ml of hot vegetable stock, in a covered bowl, for five minutes. Add chunks of butternut squash and a further 200ml of stock, then return to the microwave for a further 15 mins (stir halfway). After the ping, stir in some parmesan cheese. On serving, grate over more parmesan for a tasty, cheesy treat. It couldn’t be easier! Salmon is a fantastic source of omega 3, which is great for growing brains and busy grown-ups too! It doesn’t have to take long to serve up a great fish dish – this one can be on the table in less than half an hour, no faffing required! Add stock to a bowl of couscous, leave for ten mins, then fluff up with a fork. Add a handful of fresh herbs, some chopped sundried tomatoes and some spring onion to taste. Meanwhile, microwave some salmon fillets individually (in a clingfilm covered bowl) in the microwave for approximately 3.5 mins. 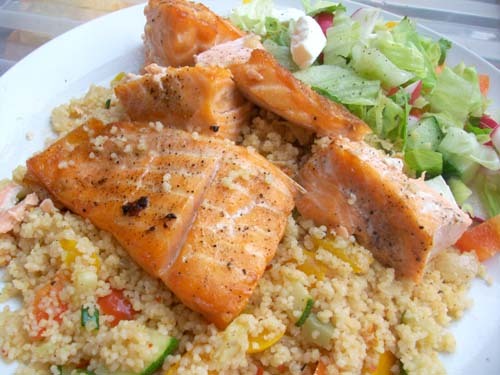 Check the fish is cooked through before serving atop a bed of couscous, with salad or a microwaved sweet potato, and a squeeze of lemon. There’s no reason why quick microwave meals can’t be healthy and tasty. With the right ingredients from the grocery store you can whip us some amazingly simple, yet delicious recipes that the whole family will love, with a minimum of mess, fuss and faff! Thanks a lot Tanya for posting these wonderful recipes. i love this name Spicy Jambalaya " jumbalaka ! One of the conveniences of living in the UK (having previously lived all over the world), that I like, is the ease of ordering groceries online. This includes ordering fresh veggies and milk. So I totally agree with the "ordering online" tip. However, as a smart consumer, I would still prefer to shop around before I decide whether to choose ASDA over the other options. It does put ASDA in a good light to hear it's employee speak so highly of it :) As far as the recipes are concerned, I like the fact that none of the recipes require or need oil which is a huge plus for me since I am watching the calories since last year. The second attraction is that they are easy and varied. So thanks to Tanya and Bharathy for sharing them and I will definitely try them. I think the first on my "to try" list is the jambalaya. I used to love it, while I lived in the USA, and have quite forgotten about it for a while now. It will surely bring back lovely memories. Thanks to both of you again and I am sure I will think of you, Tanya, when I shop in ASDA next. Cheers! 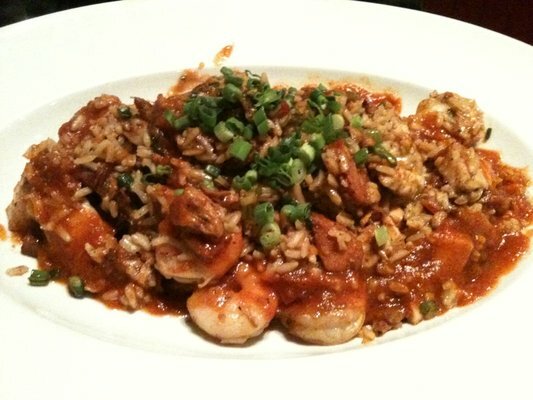 Beautiful dishes, loving that jambalaya.. This is a pretty neat idea for a hassle free cooking. I do try some shot cuts for a quick dinner. Good to know about all these options.